Admittedly this isn't my best work, I am still working through some review stuff and trying to make the resulting manis as un-Christmassy as possible, but all while battling through cold intolerance caused by the weather and heat intolerance from the heating, one day I will find my Goldilocks temperature. During the stamping process of this nail art, I had a few tremors, this much is clear but I kind of like how that made it look. It's a little grungy and unfinished looking, which I love. 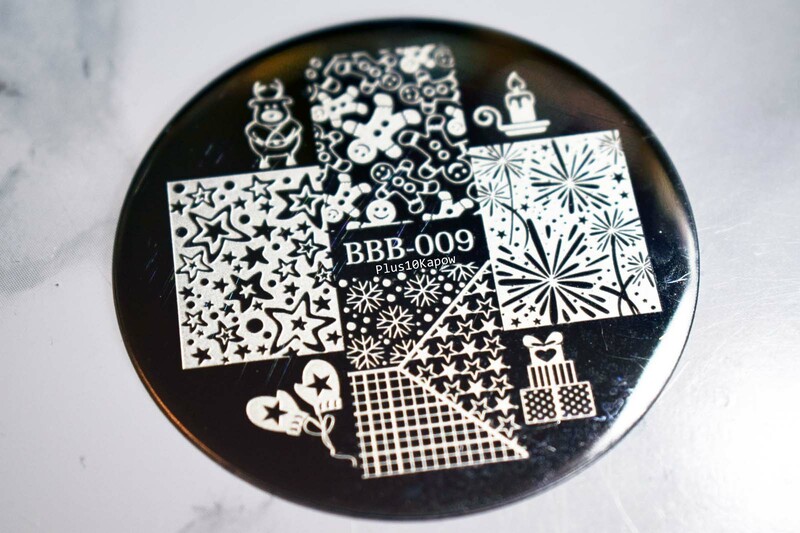 The Beauty Big Bang BBB-009 stamping plate is a standard, round plate size. It has 4 full nail images and 4 small, related images. All of which are good for regular stamping and reverse stamping. The images are a good size, etched nicely and pick up pretty well. 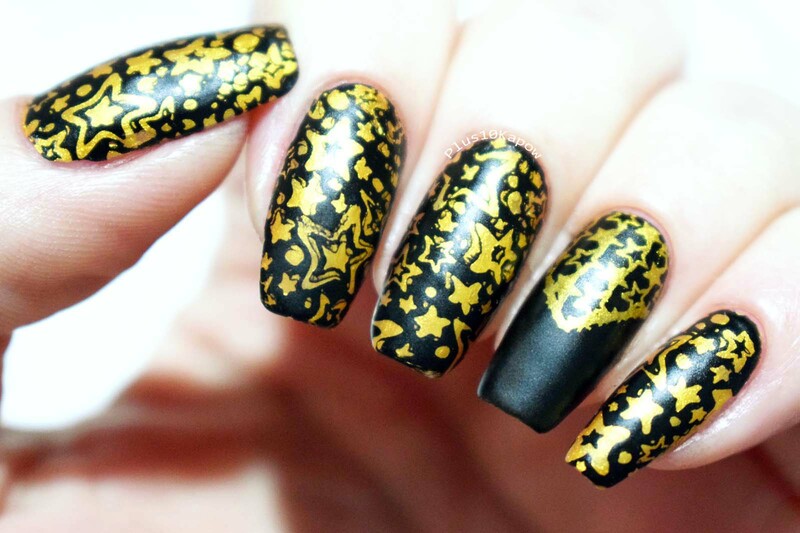 For this mani, I used the full nail stars image to the left and the stars part of the bottom full nail image. 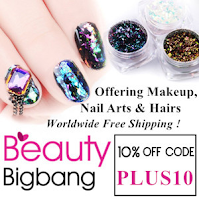 You can find this stamping plate here for £1.55/$1.99 and don't forget to use code PLUS10 for 10% off your Beauty Big Bang order.